Without doubt 2014 belongs to Kasabian. Sunday night, they headlined Glastonbury. The week before they played a historic hometown show in front of 50,000 people at Victoria Park in Leicester. Today, they announce a huge autumn tour including 5 nights at O2 Academy Brixton. Kasabian are in the form of their lives both on stage and on record. The acclaimed new album ‘48:13’ (their fourth consecutive Number 1 album) received fantastic reviews across the board and in the live arena they have received some of the best reviews of their career. 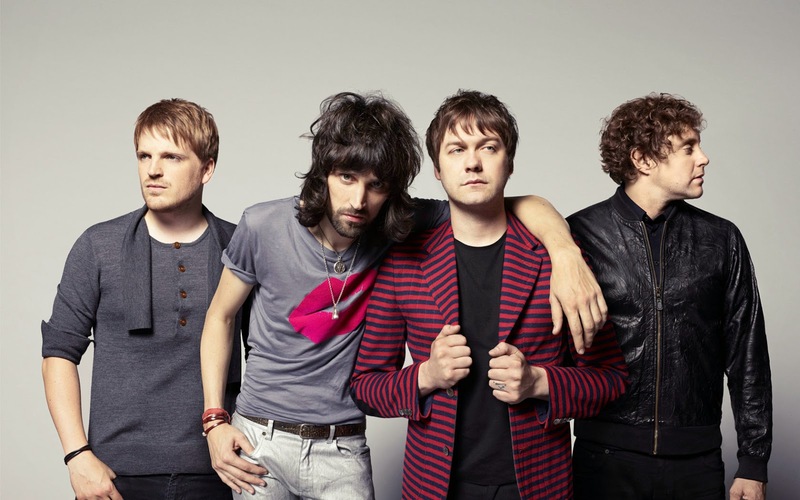 Tickets are priced at £39.50/£29.50 (except London, which are £42.50, with Sat 6th £55.00), are available from http://kasabian.co.uk and go on sale Friday 4 July 2014 at 9.30am. Following on from first single ‘Eez-eh’, ‘Bumblebee’ (released 4th August) is the latest single taken from their exhilarating and acclaimed new album ‘48:13’ released August 4th. Kicking off their set list at Glastonbury it was written for the live arena. Written and produced by Sergio Pizzorno, ’48:13’ finds Kasabian in sparkling form on their 5th album recorded mostly in Leicester at the Sergery. Make no mistake, 2014 is the year of Kasabian.